When you juice fruits and vegetables, you remove almost all of the fiber from your favorite produce and leave behind a lot of sugar. Which begs the question: which is healthier, smoothies or juices? Are you a smoothie or pressed juice fan? 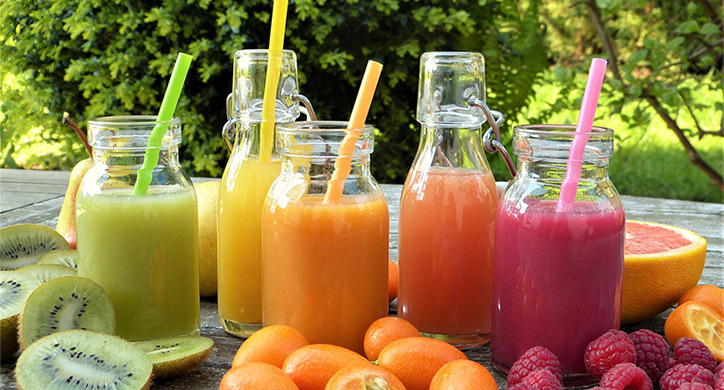 Recently, cold-press juicing has become a very popular trend among consumers and in the prepared foods industry. Several companies have made a name for themselves creating tasty and presumably healthy juices. 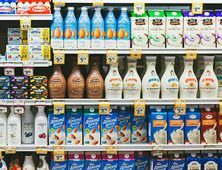 BluePrint Juice, Juice Press, Green and Tonic, Organic Avenue, and Pressed Juicery are just a few of the popular brands with storefronts across America. 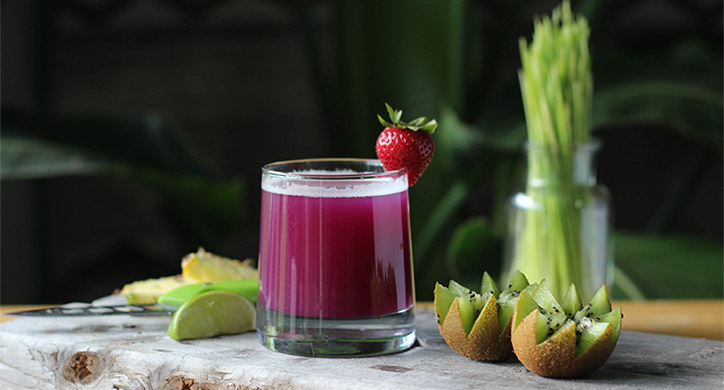 Cold-press juicing is the process of extracting the juice from fruits and vegetables without causing heat damage to the nutrients that are being extracted. 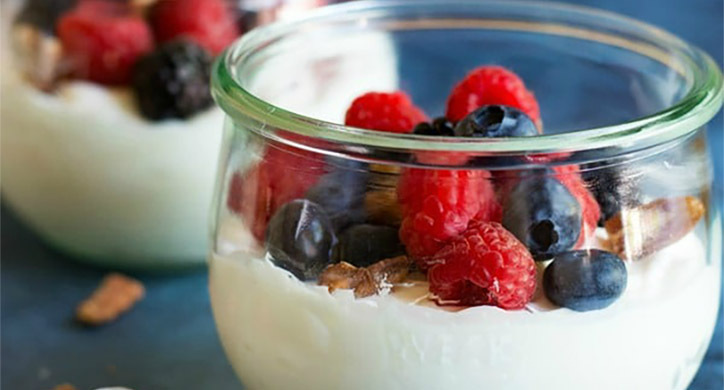 Exposing fruit to heat and light actually causes many vitamins and minerals to break down. Vitamin C, for example, is particularly reactive when it is heated. Cold-pressing is a slightly longer process and produces less waste than centrifugal juicers, which can cause oxidation to your juice. The argument for cold-press juices is that they are easier to digest than eating a full fibrous piece of produce because your body doesn’t have to work as hard to break it down. The nutrients are readily available for your body to absorb thus putting less strain on your digestive system and giving your system a quick boost of vitamins and minerals. 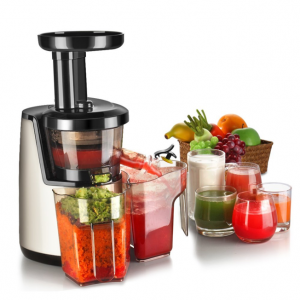 The issue with a traditional juicer, also known as a centrifugal juicer, is that it heats the produce that you are trying to juice. Heat treatments are usually the most cost effective for companies, however, research indicates that thermal processing can have negative effects on the available nutrients. When nutrients are subjected to heat they oxidize, which inevitably makes the final product less nutritious. 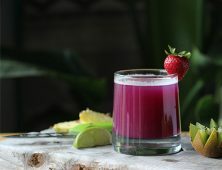 Cold-press juicing is all well and good; however, juicing becomes unhealthy when large amounts of fruit are added to a juice. For example, most juices contain apple (at the very least) as the primary fruit ingredient. The average apple contains 19 grams of sugar. If you are eating an apple, the sugar does not affect you as much because the fiber in the fruit’s skin slows down your digestion of sugar. Fiber is extremely important for our digestion and research has determined that eating your fruit will keep you satiated for longer. For this reason, you will feel fuller after eating one apple than you would after drinking the juice and nutrients from one. Because of this, you could easily end up drinking 2-3 apples in a juice without realizing it. Not to mention the lack of fiber will cause your blood sugar levels to spike, and will most likely leave you experiencing sugar cravings for the rest of the day. (You may want to revisit our previous post on sugar to understand more about how your body processes it!) Conversely, no one is going to suffer adverse sugar and health effects by eating whole fruits. 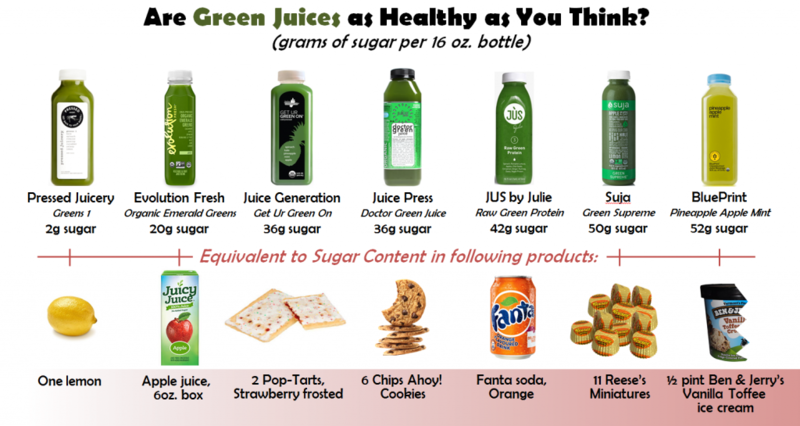 It can be very difficult for your body to handle all of that sugar at once, especially when many of these “healthy” juices exceed 40g of sugar per bottle…that’s more than a can of Coke! And while sugar from fruit is easier for your body to digest than the refined sugar from a can of soda, it still spikes your blood sugar levels. You’ve then left craving more and more sugar— and when you go back for more, you probably won’t be grabbing an apple. If you’re buying a prepared juice, you want to make sure the veggie-to-fruit ratio is at least 3:1, preferably with the primary fruit as a lemon. And more often than not, it’s better to skip any juice that contains more than one fruit. Finally, you should be wary of how much waste juicing creates. Although cold-press juicing wastes less than centrifugal juicers, a 16oz juice wastes approximately 4.5 pounds of perfectly edible produce! Think of all the fruits and veggies you are throwing away that would keep you fuller for longer while also reducing waste. Unlike juices, smoothies typically utilize the whole fruit and/or vegetable so the fiber is incorporated. Because of this, you can include a little more fruit than you would with juices, but be sure to make smart choices and not overload yourself with sugar. As with the juicing process, when blending your smoothies, you’ll want to use a mixer, like a Vitamix, that doesn’t subject the produce to too much heat, thus oxidizing, or breaking down, the nutrients and making them less abundant. Smoothies can also be a great vehicle for incorporating protein in your diet. 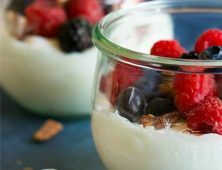 Using hemp seeds, chia seeds, almond butter, plain yogurt or your favorite protein powder, you can make a quick, nutrient-dense, protein-packed breakfast or snack on the go. 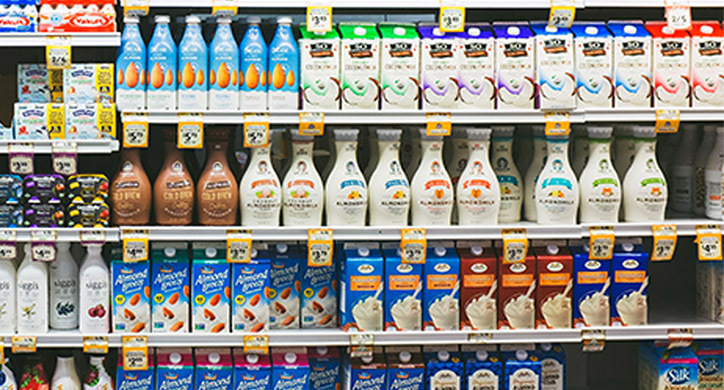 When deciding between a cold-pressed juice or a smoothie, opt for a protein-packed smoothie for a quick meal replacement or a filling snack that will keep you full. If you have trouble getting all your servings of greens in one day, a quick green juice with a 3:1 veggie-to-fruit ratio can help. But your best, most nutrient-dense option is to try and eat all your veggies and fruits whole.